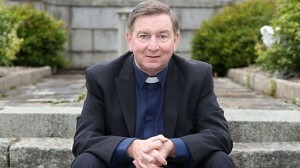 The Church must radically change the structure of the priesthood if it is to halt the decline in vocations and Mass attendances, according to Sunday World columnist and BBC presenter Fr Brian D’Arcy. Fr D’Arcy publicly criticised compulsory clerical celibacy on the opening day of the National Ploughing Championship in Tullamore, saying he had always believed clergy should be allowed to get married. He said the Church urgently needed to consider making clerical celibacy optional, as well as ordaining married men and women. “I think compulsorily tying the gift of celibacy with the gift of priesthood is more codology than theology. They are two separate gifts – they are not the same gift.” He suggested that compulsory celibacy can lead to an unhealthy emotional life and an unhealthy spirituality. It is based on “an utterly inadequate theology of sexuality”, he said. He also highlighted how the Orthodox Church and members of the Ordinariate can be priests and be married. However, Fr D’Arcy, who celebrates 50 years of priesthood next year, cautioned against a belief that one single change, such as abolishing compulsory celibacy, would provide an answer to all the Church’s challenges. He told CatholicIreland.net that it was important for Christians to understand that the most important day in their life of faith was the day they are baptised. The need for change was underlined by the decline in Mass attendance from over 90 per cent when Pope John Paul II visited Ireland in 1979, to 19 per cent in some urban areas today. He said that figure could even be as low as 9 per cent if the older age group is excluded. “I think we have got to give local people in their own local communities an ability to determine what kind of Church they are going to have and the possibility of proposing a married man who could be trained as a priest. Fr D’Arcy also acknowledged that most people he encountered were telling him that the reasons why women cannot be ordained were “so ridiculous that nobody can take them seriously”.